“In the SEAS setting it’s very exciting; we’re able to collaborate easily with people from very diverse interests,” Ramanathan says. This research was supported by the National Science Foundation (NSF), the Army Research Office’s Multidisciplinary University Research Initiative, and the Air Force Office of Scientific Research. 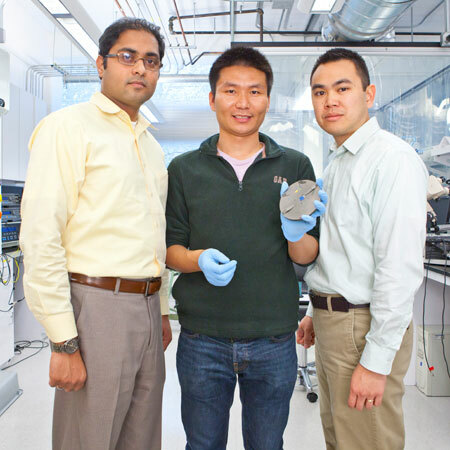 The team also benefited from the facilities at the Harvard Center for Nanoscale Systems, a member of the NSF-supported National Nanotechnology Infrastructure Network. Sieu D. Ha, a postdoctoral fellow at SEAS, was the co-lead author; additional coauthors included graduate student You Zhou and Frank Schoofs, a former postdoctoral fellow.